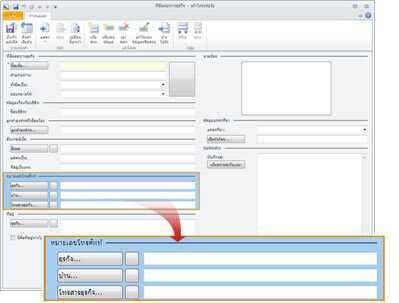 หมายเหตุ: Only the database owner can customize forms. 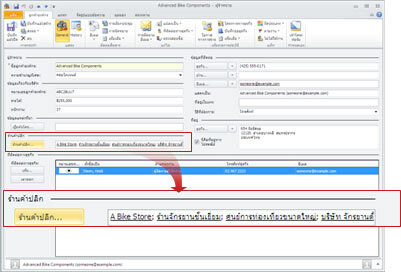 Business Contact Manager for Outlook includes a number of different types of customizable forms or record types, including บัญชีผู้ใช้, ที่ติดต่อทางธุรกิจ, Lead, โอกาสทางการขาย, and โครงการทางธุรกิจ. สิ่งสำคัญ: Any changes you make to a form will change all records of that type. For example, if you remove a field from the Business Contact form, it will remove that field from all Business Contact records. 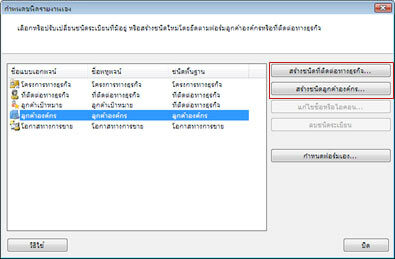 หมายเหตุ: If the page name ends with (Hidden), the page is hidden by default. 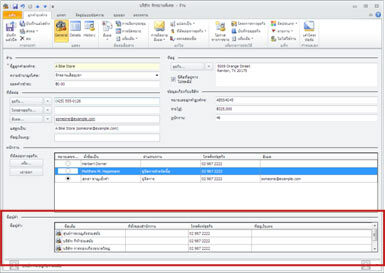 You will need to turn off the Hide feature to be able to enter data on this page of the form. 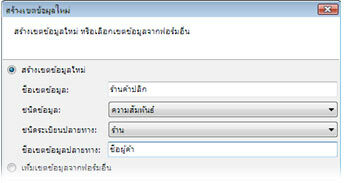 หมายเหตุ: To verify that the page is no longer hidden, in the Pages group, click Show. If the page you selected no longer includes (Hidden) after the name of the page, then it is visible. เคล็ดลับ: A section has a section name with a horizontal line next to the name. To select a section, click on or near the section name.